Showing results for tags 'carth'. *************************** Knights of the Old Republic *************************** TITLE: Effixian's Carth's Black and White Clothing AUTHOR: Effix(ian) CONTACT: PM me on the forums or find me on Steam ************ DESCRIPTION ************ This a simple reskin mod that changes Carth's default clothing. An adjusted portrait is included. ************* INSTALLATION ************* Unzip. Copy the files from the folder to your game's Override folder. ***** BUGS ***** None. ************* UNINSTALLING ************* Remove from the Override folder: - P_CarthBB01.tga - PO_pcarth.tga ******************* DISTRIBUTION NOTES ******************* You may not: Use the material from this mod in your own mod without giving me credit, implying it was your creation. You might: Use the material from this mod in your own mod if you simply ask me. ********* THANKS TO ********* - Bioware & Lucasarts - Fred Tetra's Kotor Tool ------------------- THIS MODIFICATION IS NOT MADE, DISTRIBUTED, OR SUPPORTED BY BIOWARE, OBSIDIAN, OR LUCASARTS ENTERTAINMENT COMPANY LLC. ELEMENTS TM & © LUCASARTS ENTERTAINMENT COMPANY LLC AND/OR ITS LICENSORS. The main purpose of this mod is to fix many of the party models that have uvw errors. Some of these errors may be too small to see in-game, but most become glaring when using some of the HD texture mods here on this site. The only HD texture that I have included here, is for Bastila Shan's head model (P_BastilaH04) which is now 2048x2048 pixels. I have tried to remain true to her original look. The models that I have fixed, and are included, are: default clothes models for Bastila Shan Canderous Ordo Carth Onasi Jolee Bindo Juhani Mission Vao HK-47's whole body model head models for Bastila and Carth HD head texture for Bastila head texture for Jolee (to fix the mustache) two additional clothes textures for Carth Each of these character's files can be used separately, so that the user has the option of mixing and matching with other mods. Many of the screenshots are animated with before/after scenes that flip every 7 seconds. There are included text files with much more detail as to what has been fixed in each. There are also a few files included that other modders can use for helping their own texture mods (some uvw maps and a few Photoshop psd files with multiple layers already separated). Another reskin finished. This time Carth gets a facelift. Upped the size of his head, clothing and underwear skin. Kept it very vanilla, no major changes to hair color, eyes or anything of that sort: just basic Carth. But a little crisper looking. 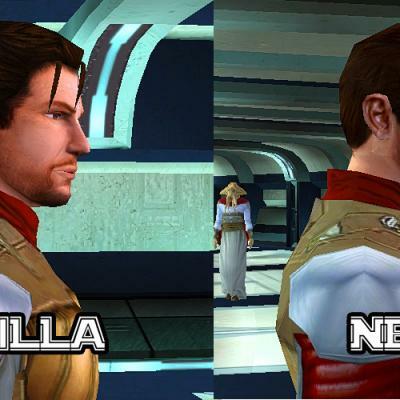 Update V1.2: Carth did receive a make over on his hair. He can now be a blondy; a manly black or, more like his vanilla look a 'brunette'; comes in 2 flavors, regular tone and a darker shade. Pick your favorite! Each has a matching portrait. The regular brown is closets to his old game look. Only the hair has received an update. All the other parts of this mod are the same like before. A Mod for Star Wars Knights of The Old Republic Author: N-DReW25 Release Date: 11.08.2016 Installation: Simply Copy and Paste or Drag and Drop ALL the files within the "For Override" into your Star Wars Knights of The Old Republic override folder (Note: For those wanting a TSL Version of this mod all you have to do is install this mod into your Star Wars Knights of The Old Republic II The Sith Lords override folder and it should work no problem) Uninstallation: Remove or Delete the files from your Star Wars Knights of The Old Republic override folder Description: When searching through the games textures I noticed their are Two variants of Carths head texture called "P_Carth01.tga" (His normal look) and "P_Carth02.tga" (An unused skin). 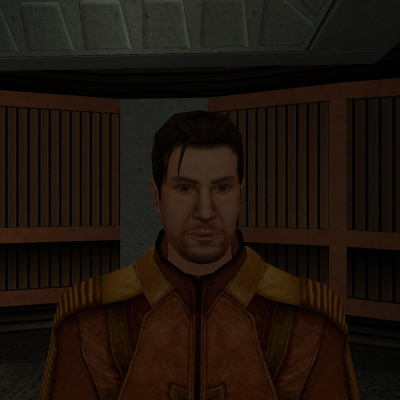 I honestly have no clue if P_Carth02 is used at all in game but in my opinion it is an unused texture for Carth that was abandoned since it makes him look older than Jolee. 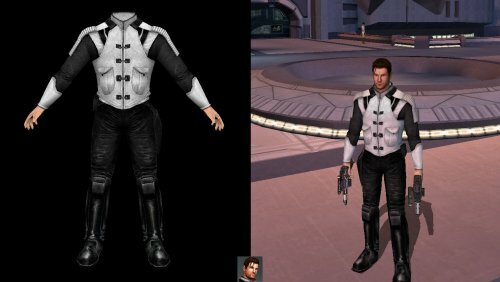 So what this mod does is turn Carth into this unused variant of himself. Known Bugs: this mod shouldn't have bugs but if their is Just PM me on Deadlystream. Incompatibilities: Incompatiable with anything that edits "P_Carth01.tga" Permissions: Do NOT claim credit for this mod Thanks: Bioware for such an amazing game,Fred Tetra for Kotor Tool and everyone who downloads the mod. Legal: THIS MODIFICATION IS NOT SUPPORTED BY BIOWARE/OBSIDIAN ENTERTAINMENT, LUCASARTS, DISNEY OR ANY LICENSERS/SPONSORS OF THE MENTIONED COMPANIES. USE OF THIS FILE IS AT YOUR OWN RISK AND THE ABOVE MENTIONED COMPANIES OR THE AUTHOR IS NOT RESPONSIBLE FOR ANY DAMAGE CAUSED TO YOUR COMPUTER FOR THE USAGE OF THIS FILE. 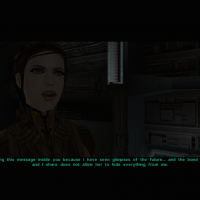 This mod will allow you to set Revan's love interest(s) in the initial conversation with Atton, and all the dialogue in the game will reflect it. No longer will Carth automatically be a female Revan's love interest, nor will Bastila automatically be a male Revan's love interest. Scripting and help given by forgetcanon﻿ on Deadly Stream. Audio is now included in version 2.0. This file was adapted based off the TSLRCM, and should not be used without it. It will also replace certain dialogue files in the Override. If you have any comments or suggestions, please contact me at my tumblr, aroaceobiwan. 1. 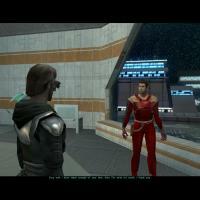 Description: ---------- This is an improved version of the Carth audience. *Restored the option to deny Carth an audience. *Additional changes based on developer notes. *Bug fixes and tweaks to this scene to make it run smoothly. Female Revan version This mod scene: 2. 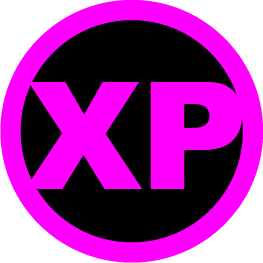 Install: ---------- (It is highly recommended that you update your game to version 2.10 (the 1.0b update) before installing this mod.) TSLRCM 1.8.3 Required This is a mod for TSLRCM, it will not work otherwise. So have that installed. To install, extract the Main Patch folder to anywhere you like, as long as it is not the SWKotOR2 folder. Simply run 'install.exe' from within the "Main Patch" folder. 3. Uninstall: ---------- There has been a backup made of the modified files, within a folder titled 'backup' in the 'Main Patch" folder. Simply copy the 205TEL.mod into your Modules folder, 205TEL_loc.mod into lips folder and you will have reverted to TSLRCM 1.8.3 4. Bugs: ---------- This has been tested several times to make sure nothing weird happens. If you find anything, let me know. 5. 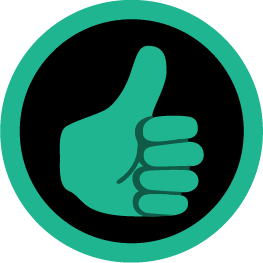 Thanks: ---------- Thanks go the entire TSLRCM team, your work has been outstanding. THIS MODIFICATION IS PROVIDED AS-IS AND IS NOT SUPPORTED BY BIOWARE/OBSIDIAN ENTERTAINMENT OR LUCASARTS OR ANY LICENSERS/SPONSORS OF THE MENTIONED COMPANIES. USE OF THIS FILE IS AT YOUR OWN RISK AND THE ABOVE MENTIONED COMPANIES OR THE AUTHOR IS NOT RESPONSIBLE FOR ANY DAMAGE CAUSED TO YOUR COMPUTER FOR THE USAGE OF THIS FILE. Okay, so this is turning into the most difficult texture job I’ve ever done. I didn’t know it when I chose the model, all I looked for was a whole chest on the texture: can’t do a Republic Admiral double breasted uniform by mirroring the left half on the right half, like so many models do. A lot has happened to the franchise since 2003 when KotOR came out, we now have seen Old Republic Admirals in the comics, the books, but of course none of them are super consistent with what Admiral Dodonna looks like in the game. By the way, other Admiral titles have also been introduced, so differences in style may be attributed to that. 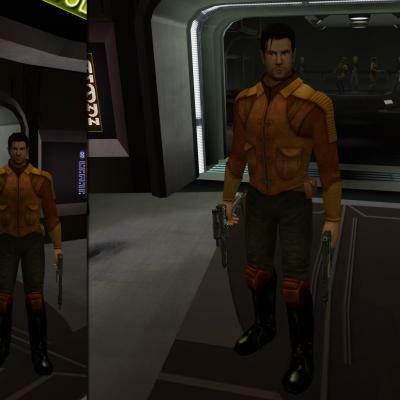 Still, if I’m doing mods for KotOR games, I want Republic Admiral uniforms to to look like the one we have seen in the original game. So back to the Military Suit that I’m trying to turn into a uniform. I easily turned the blaster holster into a utility pouch, raised the collar, loosened the sleeves a bit. On the texture side of things, I had to turn gloves into bare hands, get the whole suit to match the colors of the uniform, replace the belt. What turned out to be tricky is the decorative elements around the wrists and on the shoulder boards: on the texture for Admiral Dodonna, they look pretty straight and planar and easy to replicate, you can see that’s not the case on this model. Now I still have to draw some stuff on the chest, it’s starting to look like a uniform however, hopefully the end result will be worth the trouble. In a way it’s already worth it because I’m learning to draw textures, which is cool. If the uniform doesn’t look any better than the one I did years ago, I’ll start over with another model. We’ll see.